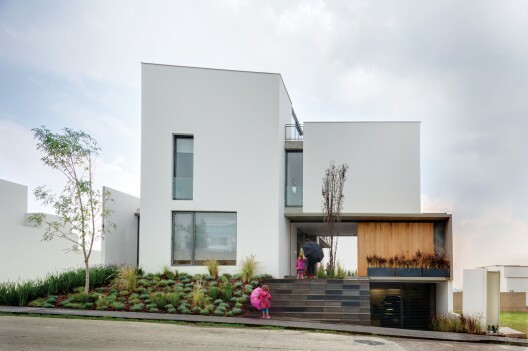 This is a family house located in a subdivision of Santa Fe in Mexico City. The first condition for the solution was to give the client a project, which would optimize building spaces without sacrificing the program. 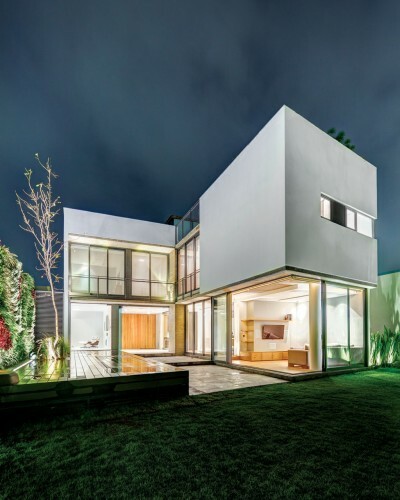 To achieve this, we had to design the architecture as "L", with the intention of making a larger house by uniting the two gardens in order to maximize the depth of the property. 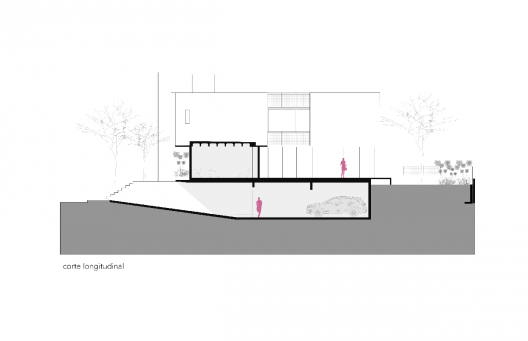 The resulting space is the compositional axis of the project, a linear sequence of spaces of different character. 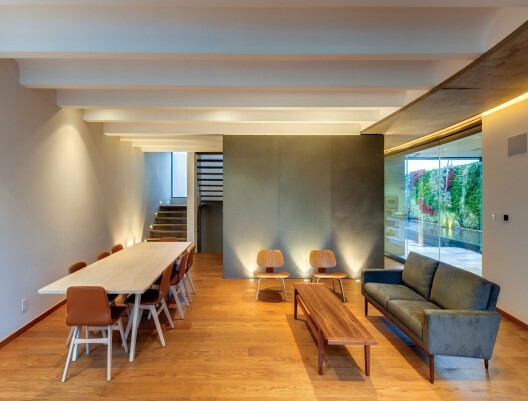 All the main spaces of the house are subordinate to this axis and incorporated to it visually and physically by large windows. The color palette is based on the authenticity of the materials such as exposed concrete, wood, oil, gray limestone and vegetation.